Feeling full after a big Italian dinner? Then do as the Italians do and order a digestivo, or digestif. 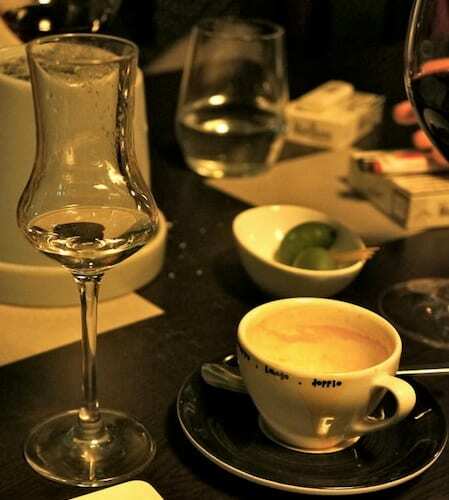 A digestif is the Italian tradition of having an after-dinner drink to help digestion. Usually a bitter alcohol to help suppress the appetite, the most traditional of these digestivi is grappa, a potent Italian brandy. At 30 to 45 percent alcohol (80 to 90 proof), grappa will definitely provide a “kick” post dinner! With its high alcohol content grappa might have had a bad reputation in the past, but there’s a reason Italians appreciate it. Used as a cure for the cold, illness or, most commonly, to “sooth” the stomach after dinner, there aren’t many ailments that grappa won’t cure. Why not try for yourself? It wasn’t until the 1960s that grappa started to stand out on the Italian alcohol scene. Giannola Nonino of Grappa Nonino’s distillery decided to try using pomace from just one grape variety, effectively changing the grappa-making scene in Italy at the time. Today the process is even more detailed, with distillers changing their method, such as eliminating the grape stalks, to create a much smoother product. In fact, grappa isn’t a poor man’s drink anymore – now one tiny shot of the potent liquid can cost up to 5 euro in major Italian cities! Good grappa is still potent, but also aromatic and enjoyable. Bad grappa, on the other hand, can feel like drinking expensive nail polish remover. For first-timers it’s best to stick to well-known, high quality producers who would only put their name on a good product. 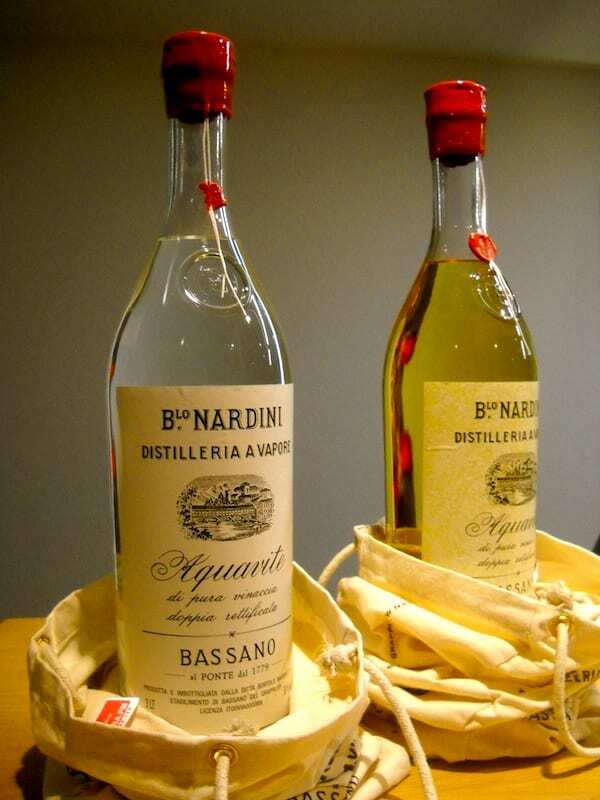 Some of these producers are Nardini, Nonino, Berta or de Negri, but of course there are many other brands that are likely to have excellent grappa as well! Actually, in Italy there are over 100 privately owned grappa distilleries, each with its own process and tradition. Whether in Piedmont or Lombardia, Friuli or Alto Adige, each works to produce a specific, noteworthy grappa made with grapes chosen from the thousands of different grape varieties available. As is the case with drinking grappa, making grappa is about quality, not quantity. A little bit of high-quality grappa goes a long way! 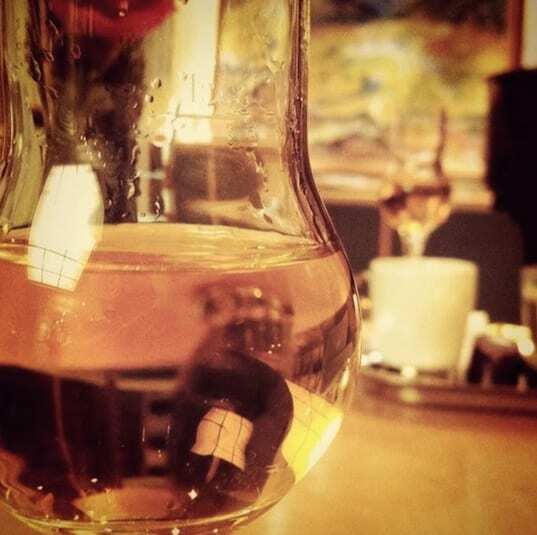 Grappa shouldn’t be served too cold, but it’s especially important that it’s not too hot. Typically, younger grappas are served cooler, while more aged ones are served slightly warmer. When in doubt, it’s better to serve it slightly cooler, as it can always come to room temperature. Your grappa may come poured in a rounded, long-stemmed glass roughly the size of a shot glass if it’s younger, or simply in a regular shot glass or cognac glass if it’s an aged variety. Though it’s considered a post-dinner liquor, many Italians also mix some in their espresso to “correct” it, making a caffe corretto, whether it’s at morning, noon or night! In the United States and abroad, grappa has become a sort of luxury item, available in only certain alcohol stores or restaurants so be sure not to miss the chance to try this fiery, but tasty beverage. Yes, grappa is strong, but there’s a reason so many Italians enjoy this digestivo – just a few sips are enough for an elegant finish to a great meal! Cool article, grappa is not for everyone but those who love it can also enjoy grappa tastings and grappa tours!